A used or second hand piano can be worth considering against new options, particularly on price and aesthetic appeal. However, every used piano has a history to take into account when considering as a suitable purchase. Historic build quality, age, amount of use, stability of past environment are all relevant considerations when deciding if a used piano is a suitable choice. 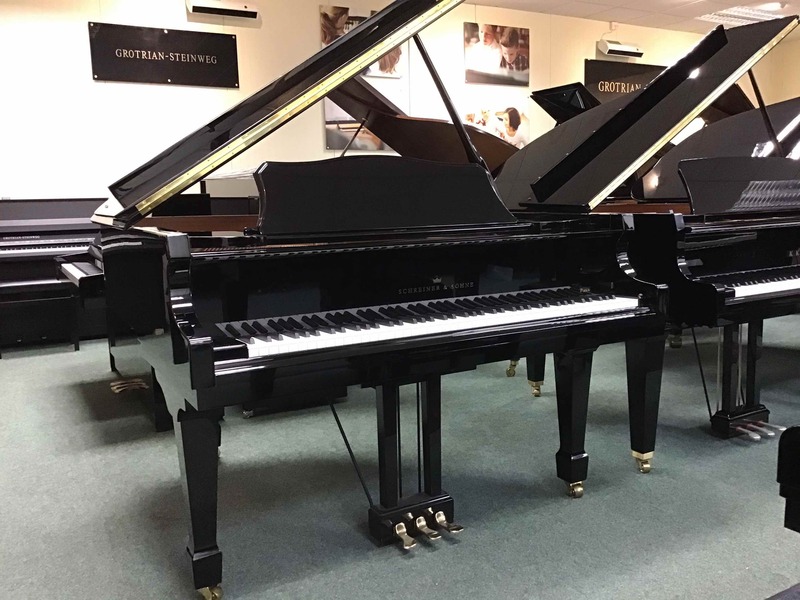 After a lifetime spent with pianos we understand and recognise these considerations which will be discussed in detail with any customer considering a used piano purchase. 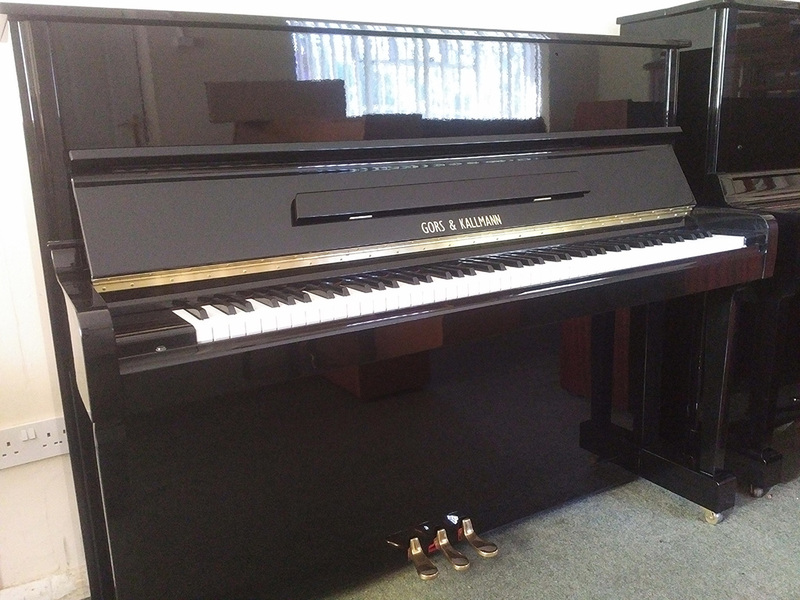 Modern baby grand piano originally supplied by us new in 2014. 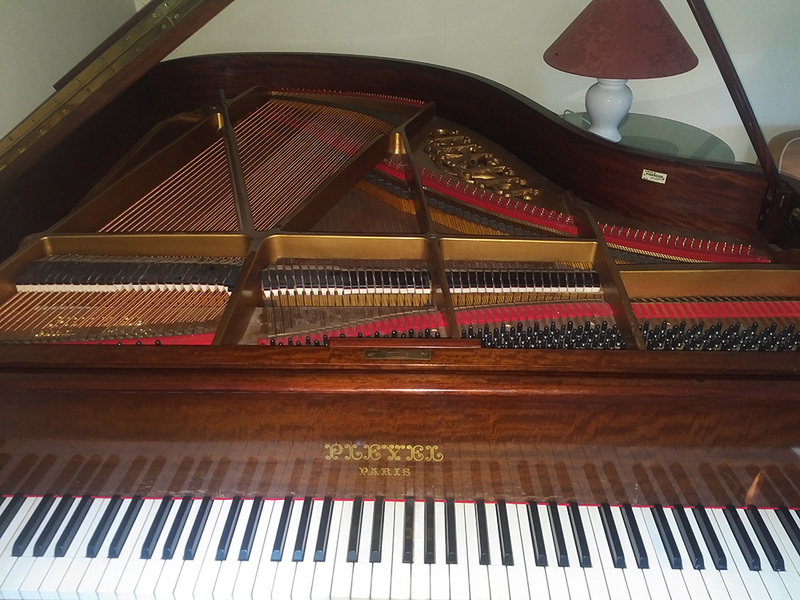 A fabulous used purchase of an attractive and impressive baby grand piano just five years old. This impressive Kawai model was supplied by us new eight years ago. Excellent used buy. We supplied this piano new just two years ago. Featuring the Kawai silent system enabling the piano to be played silently but heard through headphones. At just two years old this piano is immaculate, highly recommended. Originally supplied by us as a reconditioned model. Tuned and maintained regularly by us. 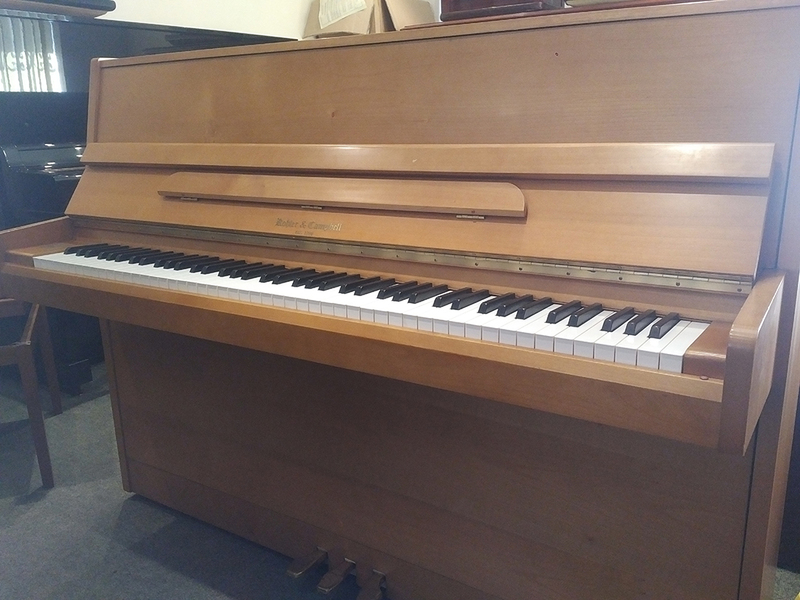 This modern 121cm upright piano has been little used and in ‘as new’ condition. 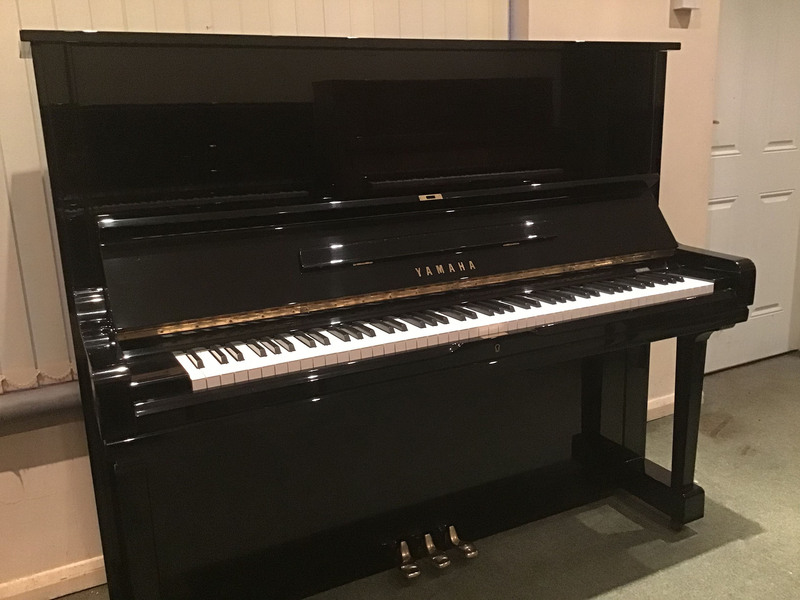 The piano has an attractive polished black cabinet. A powerful top of the range European made piano. Featuring a German Renner action this is a very impressive instrument with a high level of performance. Contemporary styled upright in a satin beech cabinet. We supplied this piano new and have serviced it regularly. 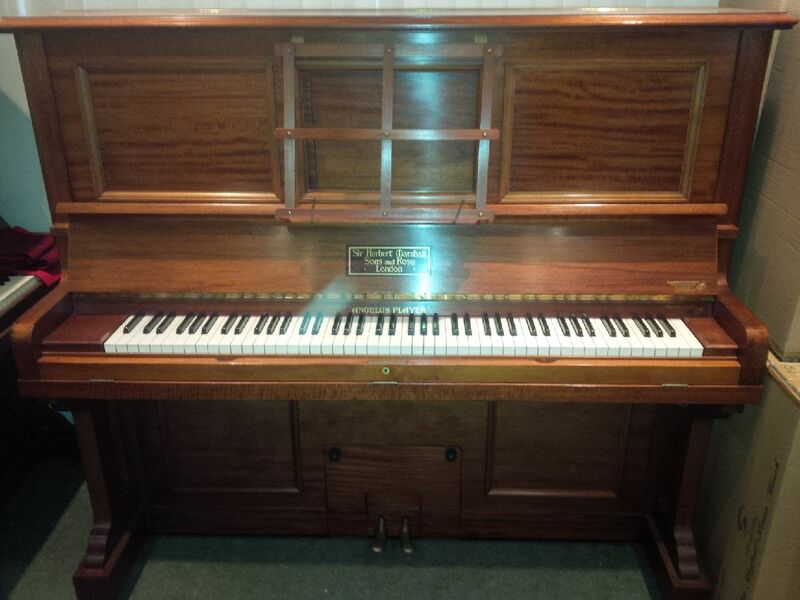 The piano and pianola mechanism has been completely restored to a very high standard. Offering a full and rich tone and the player mechanism can be operated by pedals or by an electric motor fitted during restoration. This is being offered as a private sale from one of our good customers. 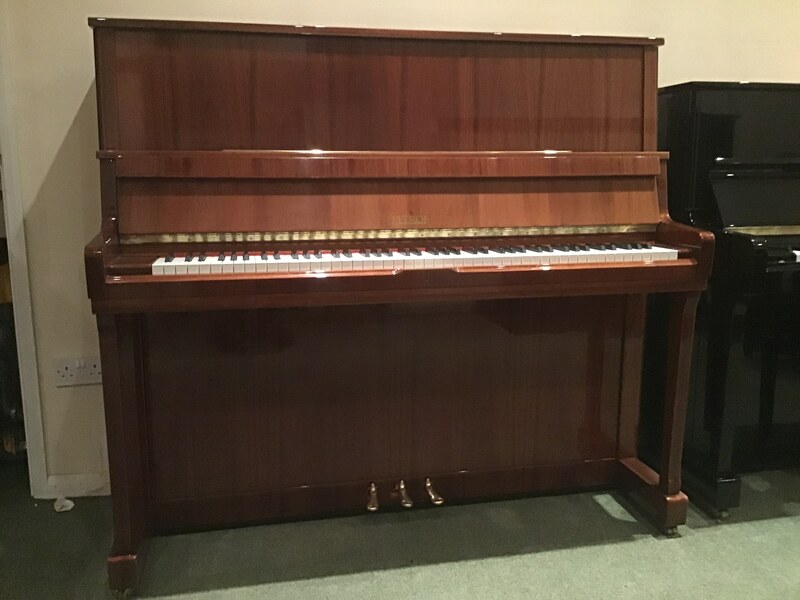 They have decided to downsize to an upright and we’d really like to help them find a good home for this impressive piano. Ben has looked after the piano for many years and seen it through a complete internal restoration. A highly recommended private sale, contact us and we’ll put you in touch to view the piano in their home.